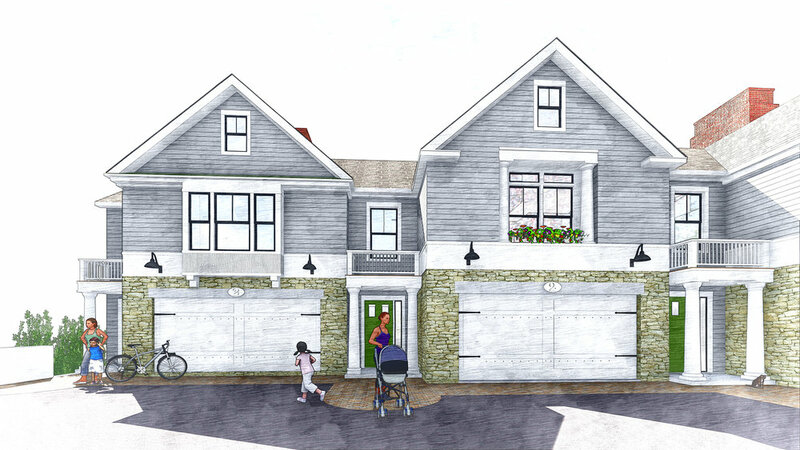 Bigelow Street is a five unit townhouse complex overlooking the Charles River in Brighton. The steeply sloping site represents significant development challenges and neighborhood participation. TDA has just started planning and has developed unique prototype options that use the slope to advantage. The owners engaged TDA after other designers failed to develop creative solutions that addressed topography, site lines, and other constraints suggested by community input. The project will be subject to Boston’s BPDA Design Review process and design is advancing for community presentations.